Our consistent quality gives our clients peace of mind and saves them money. 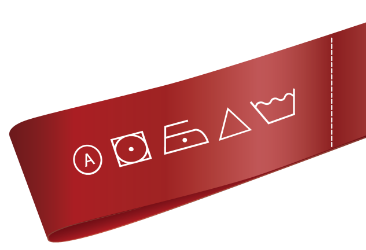 Washtub’s leading technology-driven operation and stain removal expertise, combined with diligent quality control procedures and personal attention at each stage in the laundry operation, results in our clients being delighted with consistently pristine linen that lasts longer and reduces the need to replace linen stock so often. Banishing bacteria and fear of cross-contamination. We use only top-quality SANS-approved product, operate in a completely SANS 10146 compliant environment and stringently adhere to the highest HACCP standards. And with different UV-light sanitised vehicles used for each and every collection and delivery, you can rest assured that we rigorously ensure limiting the risk of infection. Our service ethic is driven by a passionately client-focused team. Washtub strives to provide the very best and most attentive customer care in the industry, supported by over two decades’ worth of exceptional knowledge and industry experience and driven by our values, which are rooted in achieving excellence in everything we do. Washtub Industrial Laundry Service specialises in providing comprehensive, agile and pristine Laundry, Linen and Workwear Management Solutions to the Healthcare, Hospitality and Manufacturing industries in the Western Cape.